CINCINNATI, Ohio, February 21, 2015 (LifeSiteNews.com) – We are deeply saddened to report that Dr. Jack Willke, president of Life Issues Institute, passed away unexpectedly at his home on Friday, February 20. Dr. Willke and his wife Barbara, who preceeded him in death, were considered the parents of the international pro-life movement. Their educational materials, especially their Handbook on Abortion and the later Abortion: Questions and Answers, (online version or hardcopy) have been translated into 32 languages and were responsible for educating millions around the world on abortion. Dr. Willke was a founding member and long-time president of the International Right to Life Federation, a former president of the National Right to Life Committee, and the founder and president of the Life Issues Institute, a nationwide educational organization. He was also responsible for the conversion of President George Bush from a pro-choice to pro-life position. When Jack and his wife Barbara attended the International pro-life conference in Ottawa, Canada in 2013, LifeSite was fortunate to be able to produce a brief video interview (Part I, Part II) with Dr. Willke. In the 2-part interview Dr. Willke gives a winsome, very condensed summary of his extraordinary, many years long pro-life career and how it began despite his initial protestations. In Part II he reveals how extremely low were the deaths from illegal abortions prior to legalization, contrary to the claims of the abortion movement, and relates other important basic observations that came to him over the years. Barbara, who accompanied Dr. Willke on most of his international and US speaking engagements and was his indispensible right-hand person and co-writer and often co-presenter, passed away in April 2013. Bradley Mattes, Life Issues Institute executive director, said, "Words can't possibly express how sad we feel. Jack was almost 90 and we knew the time was approaching when he'd join his dear Barbara in heaven, but it's hard to say goodbye. Jack has been my mentor and colleague for over 23 years and was a second father to me." Life Issues Institute is dedicated to continuing the pro-life legacy begun by the Willkes that dates back to the sixties. Dr. Willke often expressed that he didn't expect to see the reversal of abortion in his lifetime. His dream of ending the brutality of abortion will ultimately be realized by those he and Barbara brought into the movement and trained. Mattes said, "I can only imagine the greeting Jack received in heaven. Millions of babies who he tirelessly worked to saved, joyfully welcoming him home." Funeral arrangements are pending and will be posted on www.lifeissues.org when finalized. Jim Hughes, President of Campaign Life Coalition Canada and Vice President of International Right to Life served with Dr. Willke for over 30 years in the movement. Hughes told LifeSiteNews that Willke's death is "an enormous loss to the pro-life movement." Added Hughes, "His Handbook on Abortion that he authored with his late wife is like a bible for all those entering the pro-life movement." 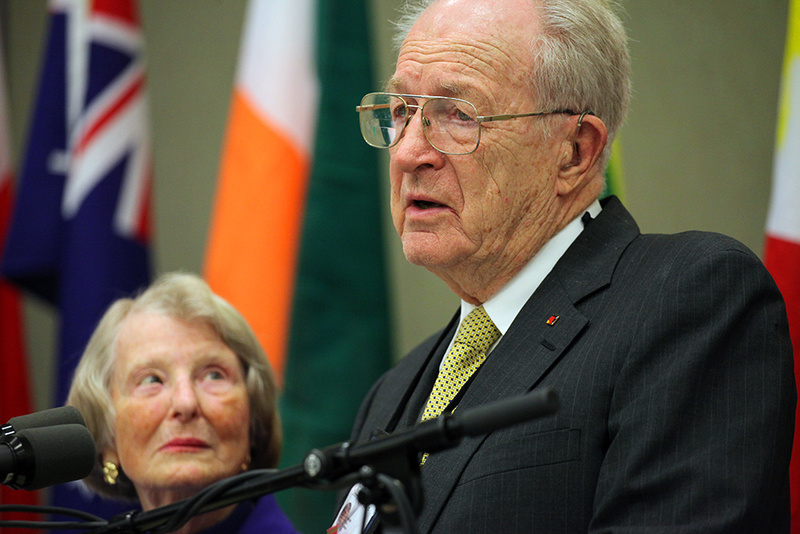 "He will live on through his good works all over the world where he visited promoting life." The final project that Dr. Willke and Barbara completed in their last several years, the much-awaited memoir of their years in the pro-life movement titled, Abortion and the Pro-Life Movement, An Inside View, has just recently found a publisher and become available for sale at Infiinity Publishing. The book is described as "an autobiographical history of one of the most controversial movements of our time". It is expected to also be available via Amazon in the near future.